Gaia Mania is one of Oregon’s Only’s original products, and was designed to work as a standalone nutrient for home gardeners. This product has been around for many years, under many labels, and has now found its home as Gaia Mania. Gaia Mania is a careful blend of organic materials, enzymatically processed to extract only proteins and humates. This digestion process is the beginning step in the absorption of vitamins, acids and minerals by the plant. Gaia Mania has the ability to feed plants immediately, and is also designed to promote microbial populations in your medium, offering greater protection to plants’ root systems. All of the nitrogen in this product is protein based. This is the healthiest form of nitrogen for plants, promoting strong, healthy growth without a tendency toward elongation as with sodium based nitrates. Plants grow healthiest when they are grown with proteins, organic acids, and calcium based products. 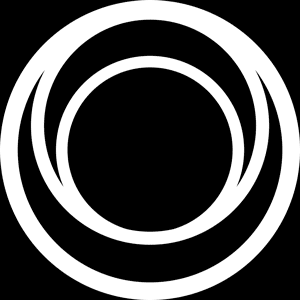 Addition of calcium will improve the uptake of Gaia Mania. Every plant needs certain compounds for growth beyond soil, light, water, and CO2. 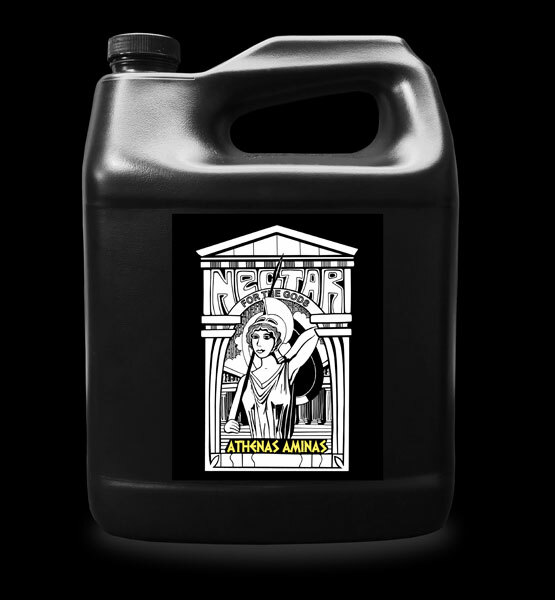 Athena’s Aminas provides a readily available amino acid source of nitrogen to optimize protein production and allow for maximum growth rates. By adding an amino acid source of nitrogen, you enable your plants to build proteins as quickly as they are able. When using Athena’s Aminas, you can expect to see faster, healthier growth, resulting in bigger, more vigorous plants. The Kraken is a digested crab and shrimp shell product, an available form of chitin, developed to aid in strengthening plant stem and flower sites. The addition of an egg white protein called cystine that the plants really respond to speeds the uptake and entices more microbial feeding. Stronger plants mean less staking and greater plant health, contributing to a reduction of common garden pests as the cell tissue is difficult to bite through. Release the Kraken! Zeus Juice was “Part C” of our original three part line. It is the catalyst in the line and is an essential part of nutrient absorption without a microbial field. Compounds in Zeus Juice are 100% water soluble and are absorbed immediately, acting as a catalyst to produce accelerated growth and nutrient uptake. With increased metabolic rates, Zeus Juice offers optimal nutrient availability, healthy plant growth, healthy prolific rooting and protection from transplant shock. Zeus Juice can also be used as a germination aid, softening the seed coat and providing nutrients for the first stages of life. Aphrodite’s Extraction provides a rich blend of sucrose, glucose, and phosphate to promote a thriving microbial population and strong, healthy plant growth. In addition to calcium, microbes need carbon in order to manufacture complex proteins for normal growth and reproduction: low carbon equals low microbial activity. Sucrose is one of the most available forms of carbon for a plant. When sucrose and glucose are blended with proteins, it becomes a microbial feast. Hygeia’s Hydration is our blending tool for the Nectar for the Gods line of nutrients. Rich in saponins, Yucca acts as a wetting agent to aid in root penetration for maximum nutrient uptake. The organic acids in Yucca contribute to chelation of other nutrients, making them more available to microbes and to your plants. Hygeia’s Hydration can be used for those pesky soils that dry out and will not rehydrate with regular watering. You can also use Hygeia’s Hydration as a wetting agent for foliar feeding nutrients, pest control, and fungal sprays. Because of the high saponin levels, this product is not recommended for heavily aerated reservoirs due to the foaming that will occur. Poseidonzime is a liquefied seaweed product rich in organic acids and over 60 naturally occurring major and minor nutrients and amino acids. Kelp is a good natural source of potassium and cytokinins, which promote cell division in root and plant growth, and affect apical dominance, axillary bud growth, and leaf senescence (biological aging). Designed to be a natural chelator, Poseidonzime helps release previously unavailable nutrients and other substances in the soil for plants to use. Known as one of the best natural plant growth promoters, Poseidonzime reduces plant stress while increasing flower clusters and overall vigor in the plants’ reproduction. Poseidonzime inhibits growth in populations of mites, aphids, whiteflies and root knot nematodes by increasing your plant’s natural ability to fight pests and disease. Persephone’s Palate is our answer to the use of molasses in a feeding regiment. The calcium in the lignin acts as a microbial food while the lignin sulphonate acts as a chelating agent, (large, organic molecules that are used to envelop highly-reactive trace metal ions). The purpose of chelates is to incorporate metal ions like magnesium, boron, and zinc into a soluble but bound form that is capable of supplying nutrients to the plants. As the chelate breaks down, the metal ion micronutrients are slowly released into the soil in a bioavailable form that may then be taken up by the plant. The presence of Sulfate has been known to enhance the natural aromas and flavors of plants. If you would like to try Nectar for the Gods we have a sample kit that you can get for the cost of shipping.